Building good financial habits can provide a rhythm, or sense of control, for your financial life. If you wait to see what's left over, you are less likely to save. 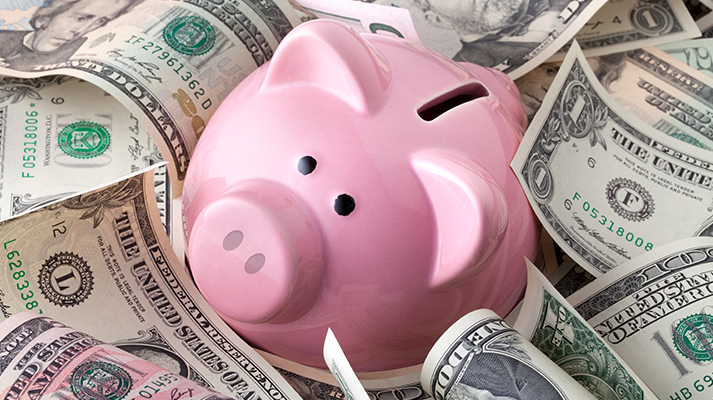 Determine in advance how much money to deposit into a savings account each month. If you receive a raise, increase the amount of money deposited into your savings account. Remember...you are your most important investment! Consider automatic payroll deductions or automatic transfer from checking to savings. Arrange to have a specific amount transferred to your savings account every pay period. As little as $25 or $50 each week or each paycheck will add up quickly. Have a little extra one week? Before it burns a hole in your pocket, use online or mobile banking to transfer it to your savings account right away. Although 96 percent of Americans pay their bills on time, some find themselves paying late fees. Alleviate the hassle by scheduling time to pay bills, and put them in the mail with enough time to get to the creditor. Better yet, use online bill pay to help you manage your bills and stay ahead of your due dates. In addition to preventing late fees, timely payments may also help you earn or keep a lower interst rate, or even avoid paying interest altogether. Goals help keep you on track. Set both short and long-term financial goals so you know you are saving for something important. It's easy to make small purchases that can quickly drain your wallet. Before buying, ask yourself if it's a want or a need. For example: Do you need to eat out for lunch tomorrow? Do you need that gourmet cup of coffee in the morning? By bringing your lunch to work a couple of days a week, and skipping the coffee shop and vending machine more often, you can easily save hundreds of dollars each year. For long-term goals, such as saving for a home or retirement, consider adding bonds, mutual funds, real estate, or stocks to your plan. These investments often provide attractive returns over the long term, however there are no guarantees. When condsidering these types of investments, its important to work with a trusted financial advisor. Saving can be fun, especially when you work with your family to save together. Pick a savings goal everyone agrees on and help keep each other on track. You can have special contests and small prizes for weekly or montly winners to make it fun for everyone. Our representatives are eager to answer your questions. Ask which package of bank products and services would best suit your needs.